The Cleveland Cavaliers are going to need some firepower if LeBron James abandons ship. He's not out the door just yet, but that doesn't mean the team was ready to pass up on a player who can fill it up each and every night. 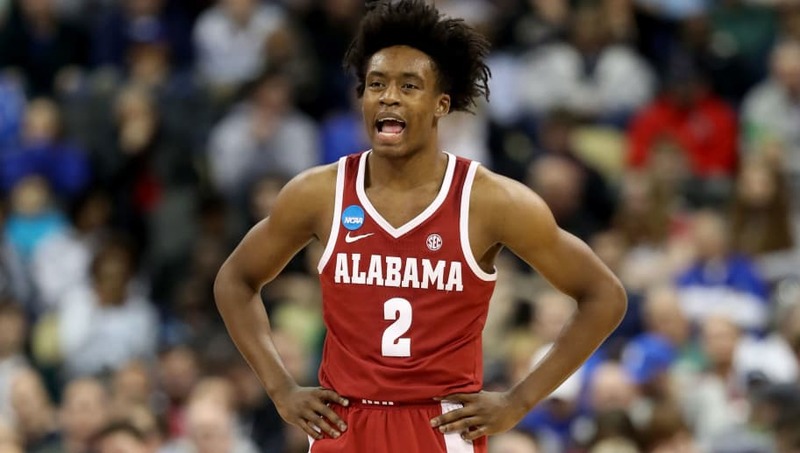 The Cleveland Cavaliers have selected Alabama point guard Colin Sexton with the eighth pick overall. Finally, a point guard post-Kyrie Irving who can go alongside LeBron. Calling him Kyrie is a bit too much, but Sexton fits the bill as another point guard who can score and take over the game. He averaged over 19 points a game during his freshman year at college with very little to no help around him. He's limited in other areas, but the name of the game is outscoring your opponent. Great pick by Cavs GM Koby Altman. Colin Sexton has that “It” factor for a point guard. You need that to be successful in the league. He’ll be a nice one in Cleveland. It might not be enough to keep LeBron in town, but it will keep Cavs fans coming to games in Cleveland no matter what.